Banks with trust departments know that in the process of selling a home from an estate, one may unintentionally become an expert in other areas previously unknown. 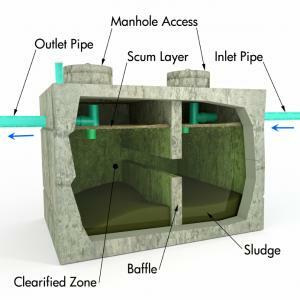 Consider one estate under management that learned more than it ever wanted to know about septic systems. In this case, the elderly homeowner was convinced that maintenance like periodically pumping the septic system should not be necessary. He didn't pump the tank for more than 10Ys. Needless to say, during the inspections required to sell the home, the septic system failed. This required replacement at the expense of the seller. Bedrock was also found at a relatively shallow level and the expenses piled up. With a cost over $15K to replace the system, so much for economizing by avoiding ongoing maintenance that would have cost the homeowner around $300 a year. When underwriting new loans, banks use many measures for that include assigning risk ratings using factors such as cash flow, LTV, loan type, guarantor strength and industry to name a few. On an ongoing basis, bankers maintain loan files and update them year after year. This process can be troublesome and expensive, but it is needed to keep tabs on potential problems before they get too big to manage. Meanwhile, banks that are heavy C&I lenders that do not have collateral to lean on like CRE are dependent on cash flow. As such, C&I lenders tend to update loan files frequently to keep tabs on things and boost oversight. When it comes to commercial real estate, there are numerous other factors that must be considered. Here, changes that would affect the ongoing creditworthiness of a loan include the value of the underlying collateral or property. Appraisal value affects LTV, so if there is a change for the worse in borrower cash flow, this would clearly boost the importance of having insight into the value of the property just in case. In terms of cash flow calculation there can be inconsistency in using global cash flow vs. project cash flow. Many banks we know also only infrequently update LTV or cash flow once a loan is booked. That can lead to problems down the road, but there is also no need to do appraisals every month to keep on top of things. Instead, regulators require banks to get updated appraisals when values may have changed for a variety of reasons that include: the passage of time; volatility in the local market; changes in terms and availability of financing; natural disasters; limited or oversupply of competing properties; improvements in the subject property or competing properties; a lack of maintenance in the subject or competing properties; changes in underlying economic and market assumptions (such as capitalization rates and lease terms); changes in zoning, building materials, or technology and environmental contamination to name a few. Since many of these are occurring nearly all the time, a consistent and well-thought-out program is a good idea. For instance, consider that the more granular the data assessment, the more moving pieces there are to keep up to date, but also the better the measurement perhaps. This is why having quality underwriting and loan portfolio management processes are of paramount importance when trying to manage risk. Things change over time, so it is a good idea to proactively manage credits along the way to avoid having to dig up a nasty and stinky surprise when you are well down the road. Commentary from Fed Chair Yellen indicating that a December rate hike is still on the table shifted equity markets into negative territory and moved Treasury yields up 1bp. Bank of America has agreed to pay $335mm to settle a lawsuit by institutional investors claiming it misled shareholders about risky mortgages. Meanwhile, JPMorgan agreed to pay $50mm to settle claims that the bank used improper tactics when collecting debts from CA credit card customers. British bank Standard Chartered said it will raise new capital and cut 15,000 jobs as it seeks to overhaul the company. The SBA reports the following activity for its fiscal year ended September 30 for its 7(a) program: it insured a record $23.6B in loans (23% more than the prior year); total loan count grew to 63,461 (+22%); by count, 60% of loans were for $150k or less; by volume, loans of $2mm or more accounted for 30% of dollars and loans $350k to $2mm were close to 50% of dollars; 67% went to existing businesses; 33% went to startups and Wells Fargo was the nation's most active lender. Research finds 92% of US households have a checking or savings account with at least one financial institution. FDIC data shows the average quarterly ROE for the banking industry has been about 8.8% since 2011 vs. almost 13% from 2004 to 2006. Research by Intelligent Environments finds 46% of millennials say they have done banking on a smartwatch. Meanwhile, 46% of those aged 31 to 40Ys old say they are interested in wearable technology banking as well. The SEC has finally issued crowdfunding rules that will allow small businesses to raise up to $1mm in capital per year through registered internet funding portals. Those seeking capital will have to describe their business, state how they plan to use the money, provide financial statements and indicate the price of the shares offered. Both accredited and non-accredited investors can invest under the rules based on their income and net worth. Consumers could be surprised in coming quarters as landlords tack fees onto package deliveries to apartment buildings. Landlords say a shift in consumers buying more online in recent years is clogging mail rooms and increasing costs, so many are considering charging fees to tenants or simply no longer accepting parcels.